Continues to follow the life of a Finnish family from aftermath of the Finnish Civil War to the Second World War which unites the country. But at what cost? 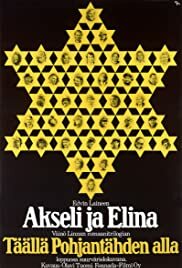 Ever since the epic film version of the first two books of writer Väinö Linna's North Star trilogy was released in 1968, filmgoing audiences had been waiting for a conclusion for the saga of the Koskela family. While Akseli and Elina, the movie adaptation of the final book in the series, is not as long and massive as the first film, it is a very worthy ending for director Edvin Laine's huge project of bringing the legendary books to life on the silver screen. The story picks up right where the first film ended. Civil War veteran Akseli Koskela (Aarno Sulkanen) has been pardoned and released from the prison camp, and he immediately returns to his family in Pentinkulma. His wife Elina (Ulla Eklund) and parents Jussi and Alma (Risto Taulo and Anja Pohjola) welcome him warmly, but the traumatic war still casts a shadow over the community; Red anger is still bubbling under the surface of many working class locals and Akseli is haunted by war memories. After having won the Civil War, the Whites have developed an even stronger sense of patriotism and anti-Socialism, which is personified in the characters of the new school teacher Rautajärvi (Ilkka Keltanen) and Pastor Salpakari's wife Ellen (Rose-Marie Precht). The Pastor himself (Matti Ranin) still prefers to stay calm and not get too closely involved in worldly conflicts. The tension between the classes escalates in assaults by the Lapua Movement, but when international politics lead the country into the second World War, old grudges are moved aside when supporters of both causes start receiving sad news about their sons on the front. Just like the previous film saw the change of generation from Jussi to his son, in the sequel Akseli prepares for leaving his estate to his three sons, but the War puts his plans on ice. The ultimate fate of the eldest son Vilho Koskela (Ismo Vehkakoski) is more closely examined in The Unknown Soldier, but here we get to learn more about his life before the war. Still, even with the three sons of the family being away from home, the kin of Akseli and Elina is not coming to an end as their daughter Kaarina (Sini Sinervirta) is getting married – life goes on in the midst of tragedies too. Despite the epic proportions of the story, at points Akseli and Elina is lighter in tone, there are even outright comedic scenes that were less pronounced in the first film. On the other hand, the grand battle scenes of the Winter War and Continuation War are no less impressive than the Civil War combats we saw earlier. The assets of the first film are present in the sequel as well: the colourful cinematography still looks wonderful, the performances by the lead actors are all natural and the beautiful music sounds even better this time around, especially the eponymous waltz by Heikki Aaltoila that has understandably become one of Finland's most popular wedding waltzes in real life too. However, there are some minor details that are not quite masterly handled. For example, the make-up used to make the actors look older is not completely convincing, as the wrinkles and marks of hard life cannot be imitated with gray hair dyes. Still, the actors do generally a good job at portraying the older, more tired versions of their characters; using different actors for different ages could have been much more awkward. 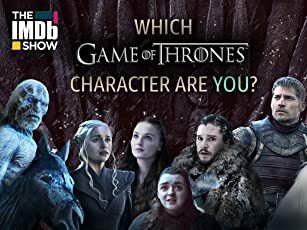 The only exception would be Sini Sinervirta's acting as Kaarina, which I feel is not on par with the charismatic big names in the other roles. At the end of the day, Akseli and Elina is warmly recommended to anyone who enjoyed the first film, Here Beneath the North Star. The ending of the family saga is powerful and leaves the audience feeling both hopeful and melancholic. If the original film offered a look into the Civil War from a Red point of view, the sequel examines the effects of the World War on the home front more than on the actual battlefields. Still, in the core of everything there is always family – a message still relevant in modern times when the past wars are beginning to fade from people's memories.